Mounting Bracket Kit for use with ULTIMETER TB Rain Gauge. 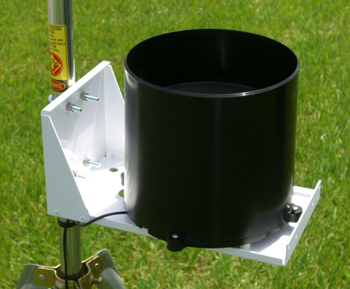 Allows the TB Rain Gauge to be easily attached to any vertical surface, fence post, or tower. Made of sturdy, powder-coated aluminum. Includes mounting hardware: u-bolt for poles, towers, or chain-link fence posts; screws for wooden posts, wood fences, walls, etc.